Robert Laboucane, a Metis businessman originally from Fort McMurray, is Director of Indigenous Awareness Canada. He has been delivering Indigenous Awareness Training Seminars across Canada for over 30 years. His client base includes dozens of major corporations, federal government departments, individuals, educational institutions and aboriginal organizations. Mr. Laboucane was the District Superintendent for Economic Development and Employment with the Department of Indian Affairs and Northern Development in Alberta for three years, the Executive Director for the Calgary Aboriginal Awareness Society for three years and was the Executive Director for the Canadian Council for Aboriginal Business for seven years (1992-1999). Robert is a graduate from the Alberta College in Edmonton and has a Diploma in Agricultural Sciences from Caribou College in Kamloops. He has lectured at the University of Alberta, University of Calgary and the University of Lethbridge on issues pertaining to the Aboriginal community at the local, provincial and national levels as well as numerous international conferences. Speaking engagements, workshops, career fairs and conferences are of special interest to Robert as they provide the opportunity to build relationships based on mutual respect, trust, friendship and understanding between the Aboriginal and non-Aboriginal communities. The Aboriginal Awareness Training and Outreaching, Recruitment and Retention for Aboriginal Employment and Aboriginal Consulting Workshops have been specifically designed to raise the awareness of Canadians about Aboriginal people and their communities and these presentations provide the necessary information and knowledge to achieve the objectives of all the participants. Dr. Douglas Cardinal OC is an internationally recognized gifted architect. His biography and lifetime of work and accomplishments are truly extraordinary and the Aboriginal community is so very proud of him. As an Albertan of Aboriginal origin his unforgettable work can be seen in the St. Mary’s Church in Red Deer, St. Albert Place and Grande Prairie Regional College. 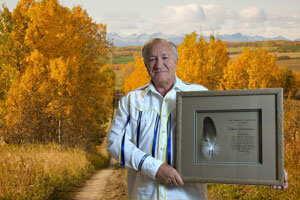 On June 13, 2009 at the University of Calgary Aboriginal Graduates Banquet, Mr. Robert Laboucane was presented with the Dr. Douglas Cardinal Award to recognize and honour Mr. Laboucane’s significant achievements for the past 25 years as a Professional Person from the Aboriginal Community. In 1995 Robert was awarded the Garth Leask Award from the Interprovincial Association for Native employment for his outstanding achievements in Aboriginal employment initiatives. 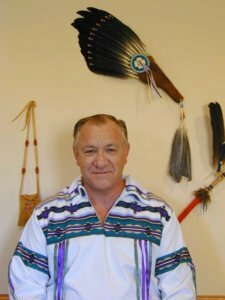 In 1996 he received an award for his outstanding service to the Metis business community and in 2001 the Metis Nation of Alberta recognized Ripple Effects Ltd. as the Entrepreneur of the Year with an award of distinction.